The headline of a recent Scientific American article grabbed my attention. When I read the words The Hidden Potential of Autistic Kids I thought 'Yes! The professionals are finally on the right track!' In short the article discusses how the tests overestimate disability in people with Autism Spectrum Disorder while they fail to acknowledge abilities that people with autism commonly posses (tasks that involve pattern recognition, logical reasoning and picking out irregularities in data or arguments). Many of us parents have known for years that the tests psychologists use to assess people on the spectrum are flawed. I know my own son could not answer questions unless they were phrased in a specific way. I remember sitting in with my son when he was being tested at age four and a half. I tried to rephrase a question for him in a way I knew he could answer and was immediately informed by the psychologist I could not intervene. The author also notes that the current belief that the majority of individuals with autism are cognitively impaired is wrong. The statistic of 70 to 80 percent of the autistic population being cognitively impaired appalled me, as a parent, because I thought that number was too high because many of the children I had met in my autism community were quite bright. I figured it was probably because the tests were not designed well enough to assess individuals with autism. I am grateful that a researcher agreed. Here is an excerpt from the article. "Researchers have long considered the majority of those affected by autism to be mentally retarded. Although the numbers cited vary, they generally fall between 70 to 80 percent of the affected population. But when Meredyth Edelson, A researcher at Willamette University, went looking for the source of those statistics, she was surprised that you could not find anything conclusive. Many of the conclusions were based on intelligence tests that tend to overestimate disability in autistic people. Our knowledge is based on pretty bad data," she says. The one flaw of this article is that readers that are part of the autism community might be offended because the author used the R-word (retardation) instead of writing "cognitively impaired" and did not use people first language ("autistic" instead of "person with autism.") Putting the political incorrectness aside, I am grateful that the author emphasizes that testing should put a higher value on the abilities and that certain factors (such as verbal processing) should be considered when an individual with autism is tested. Photo: C, the handsome son of Casdok. Faces. The beautiful faces of autism. There are many out there in this world, and will be many more. My friend Casdok, the blogger of Mother of Shrek started a blog three years ago so that everyone could recognize the beauty of autism. I had a small part in it, by helping her choose among a short list of possible titles. 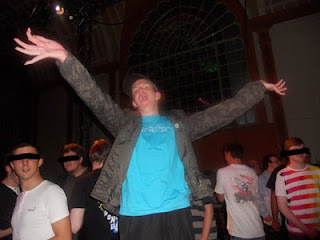 We thought that the Faces of Autism best captured the spirit of the blog. Recently, Casdok decided to give up her role as administrator and offered me the opportunity to keep this blog going. Obviously, I said yes. As the new administrator, I am hoping to publish at least one post a week, on Wednesday if possible. The blog is simple and wonderful. Every post features a photograph of an adult or child with autism with a brief description of the person. The identities of the children are protected as much as possible, but the essence of who they are are still captured in the post. To submit, please send a photograph and a brief description of the person and a notation of the country where he or she lives (exact location not necessary). Email your submission to me at julielorenzen [at] hotmail [dot] com. Links the blog of a parent or individual are accepted, but one doesn't not need to have a blog to submit. Click here to see an example of what is publised at Faces of Autism. If you have already submitted to this site, but haven't done so for a year or more, please feel free to submit an updated photo and information. I hope to hear from many of you soon. Thank you! I love this video from you tube. Counselor Rob explains respect beautifully. He uses pictures, an expressive voice, and affirmation to explain to this somewhat abstract social concept. He covers respecting places, things and people. Counselor Rob's speaking style is also perfect for children on the spectrum who have some trouble with receptive speech. He speaks slowly and clearly. My son, C1, disliked Aretha Frankilin's song Respect, which I tried first when trying to teach him about respect. However, he liked and responded well to this video. He had no concept of what respect was until we covered it in home school last Spring. We just did a review this Fall after we got a new printer that he had trouble leaving alone. He is also nicer to one of his little brother's friends now too. The other day while homeschooling my thirteen-year-old son with autism. I decided to cover the subject area of music by playing a little Mozart. I thought this was a good idea. After all, we had success with Beethoven as he can now identify a few of his works. Well, the Mozart idea didn't go over so well. Within seconds he was at our family computer putting in his own choice into the Google search box. Ok, so you want to listen to fight songs.' I thought. So be it. So, he spent thirty minutes to an hour looking up and listening to various university fight songs. I had no problem with it. His choice led to a discussion of marching bands and instruments. There are marching bands in high schools. They are known to play fight songs. So, what does this have to do with Intrinsic and Extrinsic motivation? According to a Wikipedia article on the topic of motivation, intrinsic motivation is motivation driven by an interest or enjoyment in a task or subject. If someone is intrinsically motivated it means he or she really wants to do something. Something like, say, study fight songs. In contrast, extrinsic motivation comes from outside forces like educators, cheering crowds, employers, etc. Rewards, punishments, and good grades are all examples of extrinsic motivation. This type of motivation is common in the public schools where topics of study are chosen for the students. My son is homeschooling with me in part because extrinsic motivation didn't work. Rewards? He had no interest in them. Good Grades? I don't think he cared what his report card said. Punishment? Well, he received plenty time outs and suspensions, but they didn't increase his desire to learn. In fact, he might have learned that if he acted out, he got to go home. OK, back to Mozart. Obviously he had no interest and was not intrinsically motivated to learn Mozart. I could have extrinsically motivated him (or at least tried) to learn all of Mozart's musical works. I do use extrinsic motivation such as grounding him from the computer or worse his Nintendo 3Ds. Yes, extrinsic motivation does work at home. However, I'd rather limit it use that, and call on the that strategy (if necessary) when covering a topic that he needs to know. Like how to add loose change. He'll need that skill in life. Mozart? Well, it would be nice if he could identify a few works, but I have to keep us moving forward. I want my son to enjoy learning again. So fight songs, it is. It took very little effort on my part to get him to listen to the half a dozen or so songs he researched. He's happy. I'm happy. He'll remember these songs for life. All is not lost. This is just a mini-post, but one that I hope will help parents who have children with autism or aother special needs. Recently I came across a blog that provided eight tips for advocating for a child's educational rights. These are great. I just read an article about how brain research can benefit special education and thought that I would share it here. Please note that this article is more about possibilities than current realities. The best part about this article is that the author notes a number of promising ways of how brain research (or the results of such research) can help students with disabilities. These ways include a better understanding of dyslexia, autism, cognitive impairments, etc. Also, if scientists can improve brain imaging so that it can identify certain "bio markers), this imaging could help ensure that most students with disabilities receive early intervention and could also help teachers more efficiently choose ways to help each individual in their classrooms. The usual words of caution were noted in this article. Stigma was mentioned as well as the the need for more more research on the topic. The only things that bothers me is that there is a need of research to show that brain research will benefit education. It seems like it should be common sense that it would be easier to help struggling students as a result of a better understanding of the human brain (especially an individual's brain). How can anyone argue with that? Anyway, as one educator noted, "we are at the beginning of a revolution in human understanding." As for me, I can imagine looking back ten years from now and noting all the positive changes as a result of linking brain research to the area of special education. Let's hope the efforts continue. When homeschooling, as a novice, finding some general guidelines is a good place to start. As a mom of a boy with autism, I found this link to be helpful, and reassuring. The number one tip mentioned was not to do school at home. The author writes, "One of the main reasons families new to homeschooling struggle is that they try to duplicate the same structure, hours, course of study, curriculum and environment found in public schools. This is especially true if the youngster previously attended public schools and has been in special education." I found the aforementioned post on a list at Ann Ziese's, site, A to Z Home's Cool Homeschooling. Ziese's site has tons of helpful links for parents with children of all abilities, including a few links with free lesson plans. Here is an article she wrote titled "Just for the summer." Last but not least, here is a link to a free guidebook, Welcome to Homeschool, a Guide for Families. I found the book to be filled with much of the same good advice (such as get to know your child, and know your regional laws) that I obtained while taking a course on homeschooling at a local community college. Over the past few months, I have found homeschooling to be a wonderful experience. My son is relaxed and is learning rather than spending all his energy resisting public education. As for me, the stress of worrying about his behavior at school is gone. More importantly, I have gotten to my son so much better and am find the experience to be incredibly enriching. That said, I realize that the general public might be skeptical about homeschooling. Recent news stories do not do much nullify that skepticism. The most recent story involves a single mother in the United Kingdom who is facing truancy charges for keeping her son at home. This one is heartbreaking, because it seems she is truly trying to do what is best for her son. I'm also concerned that parents rule out homeschooling because they fear that they too will be faced with truancy charges. A more distressing news report is the story that involves a family in my home state of Washington. In April, a couple in Vancouver, WA, was arrested for keeping two non verbal children with autism in a room with a cage-like door. The apartment as a whole was described as filthy. The boys did not attend public school. Their step-mother claimed she was homeschooling the children, but their nine-year-old step brother told authorities that she hadn't made any attempt to educate any of them. This story dismays me, not only because the children were treated so horribly, but because it has the potential to negatively influence public opinion about homeschooling children on the autism spectrum. Also, it is quite possible that families may be discouraged from pursuing this option because of negative attitudes. Obviously, as in the case with that family in Vancouver, WA, homeschooling is not for everyone. The desire to home school should be there, as should the child's interest in being educated at home. The parent's ability and also the willingness to be held accountable for the decision should also be there. Most importantly though, the decision should be based on what parents think is best for the child. Ideally, if the home schooling parent can demonstrate teaching skills (or has the desire to acquire them), knows and upholds the regional law, keeps records, and has the resources to keep a decent home (clean, and with a nutritional stockpile of food), then he or she should be able to avoid being faced with truancy charges. I'm hoping parents whose children seem to need the home environment will not opt out of homeschooling because of the implied risks. There are at least five good reasons as listed here by another homeschooling mom which includes the reason of positive (versus negative) socialization. Putting fear of consequences aside, whether or not homeschooling is best for the child, is something that should be considered on a case-to-case basis. Some children with autism might thrive in an inclusive (mainstreaming) environment in public education. Others might do well in a special education room and private school with smaller class sizes. Despite the horror stories mentioned above, both the general public and parents alike should realize that homeschooling can be a wonderful option for the child with autism. Hopefully, recent news stories will not discourage parents or guardians from considering homeschooling. Imagine what it would be like being in a environment where loud, obnoxious sounds constantly bombarded you. Imagine all your social skills disappearing, making you feel clueless. Imagine feeling extremely uncomfortable being in a throng of of people for hours on end with no way out. Imagine, being required to remember things even though your short term memory is a bit faulty. Now, imagine trying to deal with all I have described and having to focus on paperwork all day even though the muscles in your hands (and maybe even in the rest of your body) are weak. That is how I envision what school must have been like for my twelve year old son with autism. For years, we gave public education a good try. We've tried inclusion, mildly impaired classes, and even a life skills class with mild to moderately impaired students. I worked hard with two different school districts (we moved last year), in order to "make it work." I even participated in an intensive program designed to help train parents and staff to educate students with autism. Finally, it dawned on me that he'd probably struggle with any school environment. I realized that he needed a quiet environment, one-on-one attention, and a highly personalized curriculum designed to motivate him. The best (and really only) place set up to fulfill those needs is home, with a "facilitator" who knows him better than anyone else...his mom!! (That's me!). Anyway, the clincher was when my son made his own "declaration of intent" to file with the local district if a family plans to home school their child). My son said "I'm not ever going to school again!," We listened. Taking his recent "flight and fight" behaviors at school, it was clear that he had enough public school for awhile. Even though I met the qualifications for homeschooling in the state of Washington, I still decided to attend a course on homeschooling which I have just finished. Being new in town, I figured it was a good way to get ideas, meet other moms, find some educational opportunities, and start networking. After a total of 24 hours of instruction, pretty capable of covering all eleven topics as required by our state. I also have a good grasp of our state laws on education as outlined here. We are still getting services from the school district. They sent us to this place for Speech Therapy, and this one for Occupational Therapy. It's been been going fairly well with more participation than what the public school providers were getting from my son. It helps that both places are ran out of converted houses and do not look anything like school. Also, I have found that another bonus of homeschooling is that I don't have to worry about scheduling doctor appointments around his school day. Further, we can alter the "school hours" to fit our needs rather than going at the designated hours. Finally, we can go on more field trips and have more fun while learning than what he would have had in public school. I have tons of ideas. A lot of my plans will be designed to make learning fun again. Some of them will be designed to give him skills to succeed and be more independent as he gets older. We will see how it goes. Wish me luck. 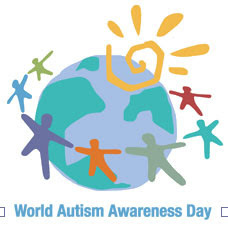 Today is World Autism Day. I have friends from all over the world who have children with autism. These countries include Australia, Canada, Nigeria (the child was born in the United States), and The United Kingdom. Today in particular I am thinking about individuals with autism and their families who are living in Japan. I can't imagine how chaotic and stressful life must be in the aftermath of the earthquake. My heart goes out to them. Photo: This is the one trip that eased my mind about pulling the boys out of school for a week for a five-day trip to Hawaii the first week in January. My husband and I both thought that taking them to see the Arizona Memorial at Pearl Harbor would be a wonderful history lesson. Photo 2: It wasn't as easy as a trip as we had hoped. Our oldest son, C1 who autism, was more interested in having something to eat than posing for pictures like this one by the USS Arizona's anchor, or going out via a small boat to see the actual site. The hardest part was waiting for and enduring the short film about the Pearl Harbor attack. He did not want to see the movie, but it was a mandatory part of the trip. The movie is a way that the park manages the vast numbers of tourists that come to visit. They sell tickets by time slots available. Our son was fixated on getting a snack. We thought he'd have a meltdown and that we would not be able to go, but thankfully C1's dad helped him manage through it. Photo 3: Once at the site of the memorial, we gave him a disposable camera so he could take pictures for a report for school. He was calmer and more interested once we disembarked from the small boat that took us to the memorial site and taking pictures gave him something to do. I took the photo featured above, but he did take a similar one featuring the wall of names of the men who died on Dec. 7, 1941. Photo 4: He also took a photo similar to this one of the American Flag. Photo 4: C1 also took a few photos like this...of rusted, but visible structures of the ship above water. Note: C1 is really more interested in cultural history than mainstream history, so it wasn't surprising that he wasn't as geared up to visit the The USS Arizona memorial, and that we had more behavioral issues there than we did taking a look at the palace. Photo: C1 was more than happy to lead the way on our exodus from the Honolulu zoo. The walk back to our hotel was less stressful than our actual outing to visit the zoo. Read on for more. Photo: Two tortoises can be seen here in the midst of their huge habitat at the Honolulu zoo. The reptiles might have been relatively far away, but they still terrified my son with ASD. My oldest son was more than happy to leave the zoo, and I'm sure this is why. Sometimes there is just no rationalizing with fear. My twelve-year-old son is scared, no absolutely terrified, of turtles and tortoises. The best explanation that he can give is that their shells scare him. I'm not sure why exactly and he cannot explain. I guess maybe it is because they poke their heads in and out in a unpredictable manner. He doesn't even want to look at them. We have explained that the shells are like helmets that people use, and are met to protect the animals. Our guy understands this to a degree, but still remains terrified of them. If I had to do it all over again, I would have visited the website to get a look at the map to see how the facility was laid out. If I had done that, it would have become apparent that we would have to be very careful with our route because the zoo's rather large tortoise exhibit was right in the middle of the park. It would not have been easy to dodge the tortoises, but it would not have been impossible either. Of course we ended up walking right by the where the tortoises are kept, and of course my son noticed the reptiles immediately. I guess we can be glad he didn't have a huge meltdown. Instead, all it took was for my son to close his eyes and allow himself to be led past the tortoises as well as the turtles that were located in another part of the park. In the end, the trip was a little bit stressful, but not ruined by the unexpected hazard. We saw plenty of animals that C1 wasn't afraid of. He liked the spider monkeys and he braved going into the reptile/amphibian house so that he could see his favorite animal...a frog. So yes, our trip to Hawaii was filled with ups and downs. Thankfully, this episode was just a small valley, which was relatively easy to navigate. Photo: A picture I took of the lagoon and buildings that are part of the Hawaiian Hilton Village where we stayed. Ever since I was a little girl I've wanted to go to Hawaii. I've always heard of how beautiful it is, so when my husband decided to go to a conference in Honolulu and asked if I wanted to go too I didn't hesitate. In the Midwest it is far more rare than in the Pacific Northwest to find someone who has visited Hawaii because it is a lot more expensive to fly from Michigan than it is from Washington. As far as anticipating the trip, my husband and I were excited about starting the new year (Jan 3-8) in the Aloha state, but also apprehensive. (Our two boys, however, were just plain excited.) We had never taken our sons, including the oldest who has autism, on a multi-day trip that required air travel to and from our destination. We worried a little about making it through airport security. We fretted about meltdowns in public, and wondered if we would regret attempting to go. Giving into our fear however would have meant not experiencing some of the best of what life has to offer...warm sunshine, beautiful scenery and the rich culture and history of the islands. So we prepared the best we could. We let the school system know we were pulling the boys for a week to go on on trip. I took my son to his psychiatrist the week before we went. The doctor gave me a note written on a prescription pad that explained my son had Autism Spectrum Disorder. He also wrote a prescription for a sedative to use during the plane ride, but we decided to not use it. My husband planned a rich variety of outings for us, and booked us in a room where his conference was being held. Fortunately, the hotel was located on a beach and had several swim pools, a must for most families with children. So, I packed swim suits, sun lotion and even after sun lotion in case one of us became sunburned. We also did our best to communicate our expectations of behavior to our son. Fortunately, we were able to go on all the outings my husband planned, but it wasn't easy. Every day had its challenges when it came to our twelve year old boy. We couldn't relax as the word vacation implies. But we did our best to enjoy our trip. We had our fun moments, but we also faced enormous challenges that we could have never anticipated. So yeah, I have some stories, which I'll share. All I'll write now is if I had of known exactly what was going to happen during our trip, I'm not sure I would have had the courage to have gone. That said, Hawaii lived up to my expectations. There is no place quite like it, and I'm so happy that I was able to fulfill a childhood dream and that my husband and I were able to take our children on a trip they are likely to remember for the rest of their lives. Hawaii is beautiful and we were able to enjoy five days of warm sunshine during the first full week of January...a novelty for this family who hails from the Midwest. Please stay tuned for more on our trip later.